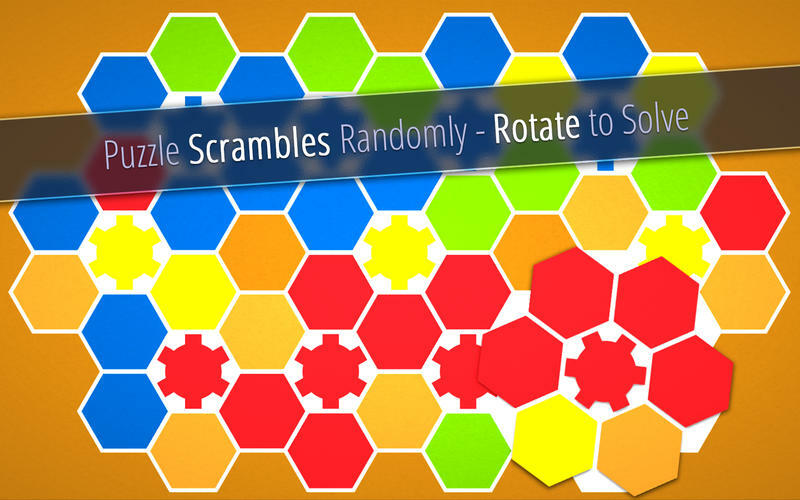 A challenging puzzle game that is easy to learn and difficult to master. It's puzzle gaming in a very basic form - no fancy animations or spellbinding story lines to follow. If you’re a big fan of Rubik’s cubes, you’re going to love this new game by Thordur Matthiasson. 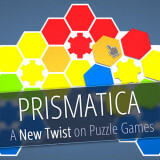 It’s puzzle gaming in its simplest form, without needless stories or background details to get in the way. Though that may sound a little dry at first glance, the puzzles themselves are both easy to understand and increasingly difficult to master – and it’ll likely to have you and family members of all ages hooked. 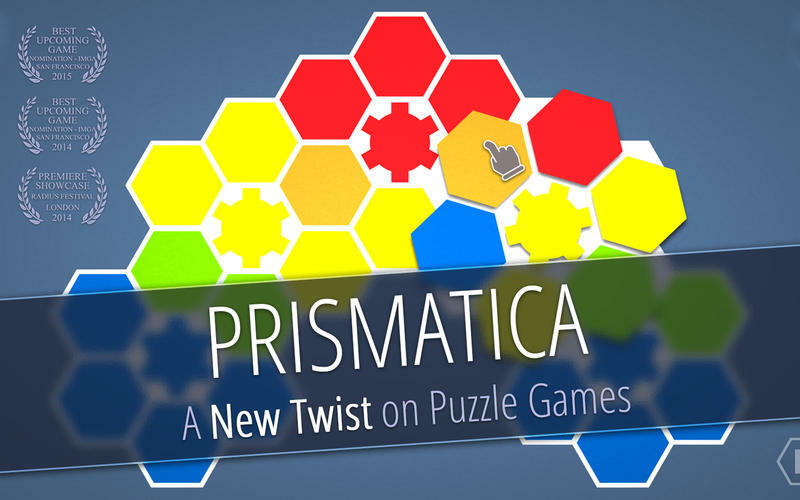 The basic premise of Prismatica is incredibly simple. You are shown a series of pieces in a pattern, which then scrambles. You need to rotate the pieces in order to get it back to the original arrangement. The patterns are made up of hexagons, which themselves consist of six hexagons. The hexagons in the patterns are in a variety of different colors, and these colors make up a part of the puzzle as well. Say you have one hexagon made up of yellow hexagons, and one made up of blue. 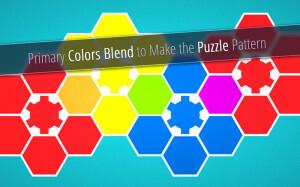 You’ll need to move the pieces to make the each one of the proper colors – as well as making the ones that intersect green (because yellow and blue make green). It sounds confusing, but it works rather well, and even my gradeschool aged children were able to easily figure it out. So how do you get everything in the right places? The larger hexagons can be rotated, and because they intersect, you can rotate back and forth between them to move the pieces around. The early levels are fairly simple, but the difficulty ramps up as you make your way through the game, making for some very challenging puzzles. Though you are shown the arrangement at the beginning of each level, you won’t have to remember it – each larger hexagon is marked with its color in the middle. You just need to get all the pieces in the right spot, and remember to mix the colors on any intersecting pieces. Though color is a huge part of the game, color-blind players need not feel excluded. You can switch to color-blind mode in the settings, which will put a symbol on each piece that corresponds with the colors. There is also a bit of leeway in how competitive the game is as well. 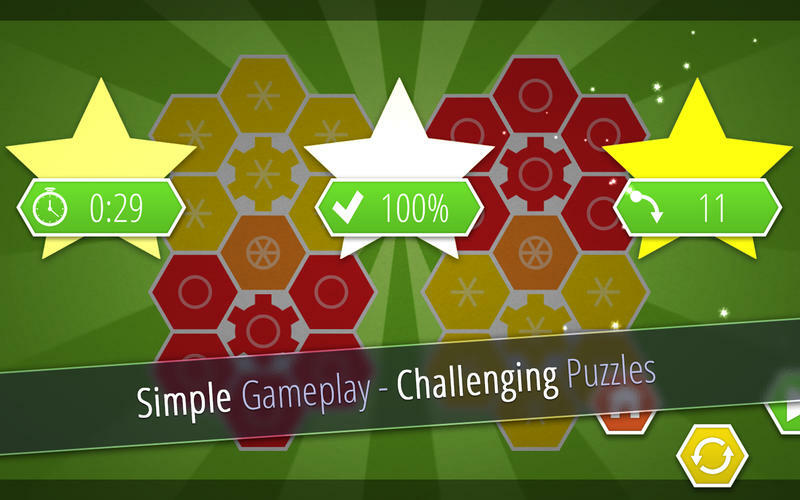 You can choose to play each level under one star mode, or three star mode. 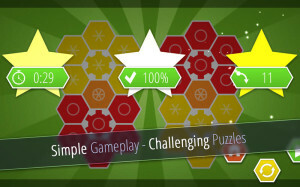 In one star mode, you just need to finish the puzzle to move on. In three star mode, a timer comes into play. Whichever way you decide to play, it’s a challenging game that is surprisingly addicting to play. 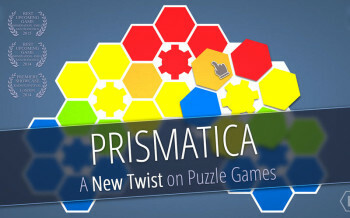 As a huge fan of puzzle games, I was excited to give Prismatica a try. Though it sticks to one basic mechanic throughout the game, it doesn’t feel too repetitive, as the puzzles are also getting trickier in different ways. With the option to play without a timer, and even a color-blind mode, families of all age levels and abilities can enjoy a game that has no objectionable content, and no restrictions on play.